Dez Bryant is getting ready to make his debut with the New Orleans Saints, but it will be head coach Sean Payton's call if he plays Sunday against the Cincinnati Bengals. "Whatever he has for me, I'm getting myself ready for it," Bryant said of his coach, per Mike Triplett of ESPN. After spending the first half of the season as a free agent, the receiver signed a one-year deal Thursday worth $600,000 as a base salary, per Adam Schefter of ESPN. The 30-year-old says he has been working out all season to stay in shape, but competing with a new team is still a challenge. On the plus side, he did think his first practice went well. "It was good," Bryant said of Thursday's workout. "Just knocking a little bit of the rust off, but it was good." While it would be ideal to let him get acclimated with the offense before activating him Sunday, the Saints could be desperate to play him based on the lack of depth at the position. Cameron Meredith was placed on injured reserve as he is set to undergo knee surgery, per ESPN, which leaves just two healthy receivers with more than five catches this season. Michael Thomas is the clear No. 1 option, but Tre'Quan Smith is the only other player at the position who has been used regularly and even he still only has 12 catches this year. 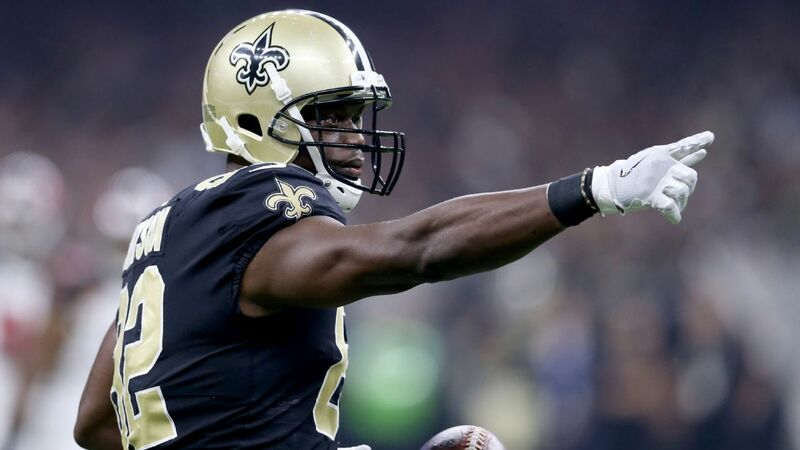 While running back Alvin Kamara and tight end Benjamin Watson are useful in the passing attack, the Saints still need someone else on the outside. This is why Bryant was signed, but it remains to be seen whether he can help in Week 10.